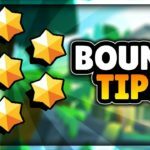 Home » Leon Brawl Star Complete Guide, Tips, Wiki & Strategies Latest! This guy seems inspired from chameleon where he can go invisible. He has cool looking green jacket, Having lollipop in his mouth. Leon has medium health and high Damage Per second. His attack name is “Leaf Blade” where he throws series of leaves, Which attacks and damages enemy Brawlers. And His Super name is “Smoke Bomb” where he gets into an invisible mode like ghost. Let’s check out this brawler details further. Name of Leon’s attack is Leaf Blade, He swings Leaf blades, Which go sharply and attack single or multiple targets coming in that area. He swings 4 Leaf blades, Which is very shape, It damages the enemy. The blades are at very high speed and slashing. He turns himself invisible for a very short time. His invisible cover will blow up. If he tries to attack. If you try to pick up Gems, Powerups or if you absorb any damage while in invisible mode, Your cover is out for a few Split seconds. When Leon is in super he will move dead faster, Slowly and silently. This Star power is unlocked at Level 9, Leon will move faster when he is invisible, Which will make him deadly and very useful for several maps. Leon is medium ranged Brawler having medium health and good Damage per Second. His attack is very fast, It could reach the enemy very fast. If all the 4 attacks are absorbed by an enemy Brawler, He is going to absorb whole whooping damage. When Leon is near to any target like any other shotgunner, He is very deadly to handle, Especially for the long-range shooters. Leon’s Super will make him invisible, Which comes very handy to tackle any of the Lobbers, Long Ranged Brawlers or any Brawler carrying Gems or having more bounty. In Super, Leon is very fast, Can catch anyone, Go near Heist and do whatever possible he could. Leon Cannot perform alone, He needs a team to assist him, If enemy Brawlers group together they can kill him very easily. Leon cannot destroy any obstacles. Leon should be very careful against Lobbers such as Barley and Dynamike. Bo could be a very effective counter against him, As if he planted any bomb, If Leon in invisible mode, He triggers the bomb too. In Brawl Ball game mode, If Leon uses his ability while having Ball, He is visible & easily guessed by others. 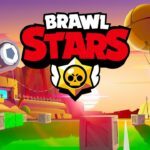 How to use Leon Brawl Stars? Controlling Leon is very easy, Use Left controls to move him around and right controls to swipe and attack, When his special is loaded, just tap and press to activate his invisible mode. As Leon is a medium ranged Brawler who will deal more damages when the enemy is nearby to medium range, So try to project more leaf blades to your enemy as possible, To do more damage. Leon is a team player, He needs team support or team to take care of enemy Brawlers, So that he could sneak off to the games the main objective. Don’t do everything in a similar pattern, Just Randomise, Make it tough for enemies to guess where you will come. Leon’s Super should be used as a surprising one to the enemy, You shouldn’t activate it when the enemy is seeing You, To give him a surprise, Get out of range from him or hide in any bushes, Activate the Super & backstab the shooter. Let’s check out some of the cool strategies for Leon in each event. Leon is very effective at Gem and Grab, As He could use his blades to damage enemy very nicely, Push them back, He can hide and attack, Covering the bushes. If he is major gem holder, Leon can use his Super to retreat back to his base, Without knowing of the enemy or he could even go to enemy base, Very fast, If they are into your base, Sounds interesting right :D, You could try this, He is very fast Brawler. 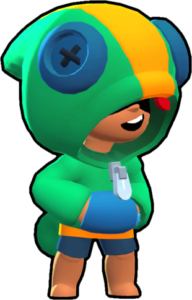 In Heist, Leon could easily sneak off to enemy Brawlers Heist by using his ability and damage it badly, Since, He is very fast with his ability. Leon is not that much good in other game modes As others are played solo, However Duo Showdown may be good, Test him out. Leon Skins & How to unlock? Since Leon is a Legendary Brawler, Chances of unlocking him is very less comparing other Brawlers, Regularly open Brawl Boxes, Bigger Brawl Boxes have more chances of getting him. Currently, Leon have only one default skin, Let’s wait for more. Check out Leon’s Boss Fight by our friend JK, Enjoy it. 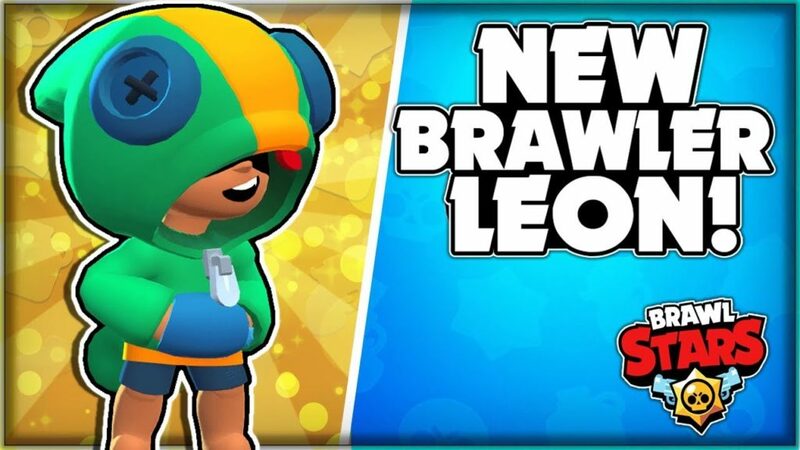 We hope you have completely enjoyed the article on Brawl Star Leon’s Complete Guide, He is one of the powerful Brawler if used properly, Practise him with bots. Brawl Stars team really did a great job with this update, Increasing play area. Subscribe to Happy Time Games and press the bell icon to receive updates instantly!